Sheppard Pratt Health Systems, P.O. Box 6815, 6501 N. Charles St. The Mann Residential School is approved by the Maryland State Department of Education as a general and special education school. 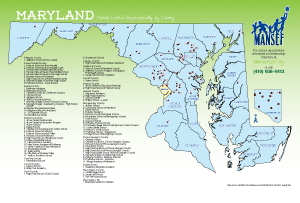 The Mann Residential School serves Residential Treatment Center and High Intensity Respite students and utilizes the Maryland state Curriculum for college and career readiness and other approved curricula for instruction in subject areas. All Teachers are certified by the Maryland State Department of Education in the content area in which they teach or in Special Education, or both. The program offers open schedule classes for students, encouraging self-mastery and empowerment, opportunity to complete subject matter to earn credits toward obtaining a high school diploma, providing resource and environmental supports to help each student be successful. For students with an IEP, the objectives and goals of the IEP form the instructional context for each class the student attends. The school is a Positive Behavior Intervention School (PBIS). In addition, Dialectical Behavior Therapy (DBT) principles and practices are incorporated into the school program and are integrated with the Residential Treatment Program. Individual and group psychotherapy, family therapy, social casework management, speech therapy, occupational therapy, chemical dependency counseling, educational assessment, counseling, psychiatric assessment, medication management, school health services, behavior management and 1:1 aides as needed.